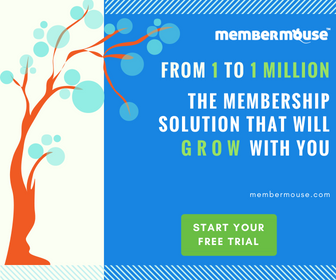 We’ve got another great update to the MemberMouse platform to tell you about. We’ve made some updates and enhancements that will continue to improve the platform and improve your ability to sign up new members. Registration Process Enhancement – We’ve removed the confirm email and confirm password steps from the registration process to optimize the process even more. Captcha During Registration – The registration process can now include a captcha system to stop spammers from creating fake accounts. This option can be turned on or off based on whether you want it or not. Global Cancellation List – We’ve added a new email list that automatically syncs with your email provider, the Global Cancellation List. This email list allows you to automatically place any cancelled or paused members into their own email list so you can send them a series of autoresponders to get them to come back to your site. Use this list to recapture lost customers. Member Cancellation Event – A new push notification event has been added, the Member Cancellation Event. This will let you execute scripts to update your 3rd party systems when a member cancels. Preview Settings Enhancements – With the new preview settings enhancement, you can now see your site as a non-member will see it. Homepage Redirect on Login – With this option, you can now redirect members to your WordPress default homepage when they login instead of a membership-specific homepage. Smart Redirects After Login – When a member attempts to access a protected page and they aren’t logged in, they will be informed that they don’t have access and need to login. Once they login they will be automatically redirected to the page they originally attempted to access instead of the member homepage. Phone Number on the Free Member Web Form – The free member web form now supports the phone number field so you can collect phone numbers when you use the custom sign up form. Member Import Improvements – The member import now supports the username & password fields making it even easier to import members from another system and allowing you to maintain their member information. UI Improvements – We’ve made some UI improvements to make it easier to navigate the MemberMouse admin section. Now, commonly used sections are grouped together more effectively and the sections you visit the most are at the top of the navigation menu. Our big update is on the way so keep your eyes peeled for more in the coming weeks. And as always, let us know what features you need and we’ll work to get them built into the MemberMouse platform.